Blowout Sale! Free Shipping Included! 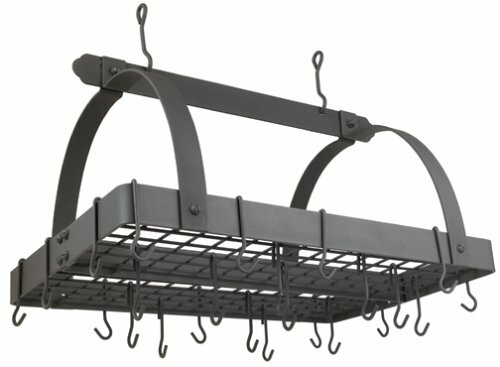 Save 55% on the Old Dutch Rectangular Hanging Pot Rack with Grid & 24 Hooks, Graphite, 30'' x 20.5'' x 15.75'' by Old Dutch at Just Gathering. MPN: 101GU. Hurry! Limited time offer. Offer valid only while supplies last. Measures at 30" x 20.5" x 15.75"